Over the last twelve months we have repeatedly been informed that it is essential that manufacturers remain in F1. We have been led to believe that the mere presence of names like Mercedes is the way of the future and it is obvious that Bernie Ecclestone would like to see many more of the big names from the automotive world lining up on the grid. Apart from lining up on the grid it is, of course, also lining the pockets of Ecclestone and the shareholders of CVC Partners and this would appear, as has been said repeatedly, to be the prime motivation within the sport. So the objective is to encourage greater investment from the big names in the auto manufacturing sector, ensuring stability and guaranteed income, after all it is unlikely that any of these companies will go the way of Marussia or Caterham. But then someone threw a spanner in the works. Everything appeared to be set for the 2015 season with the controversial engine freeze and the limited engine development time period set in stone, until a couple of clever guys read the regulations very carefully and discovered a very useful loophole. Within the technical regulations the wording has failed to specify a date for that development to cease, thus allowing the teams to continue developing the power units throughout the entire season. In an interview with a leading motorsport publication, an FIA spokesman was quoted as saying. So Ferrari, Renault and Mercedes will be able to carry out performance modifications continuously, so all’s well and good you would think. But this is where we hit a snag, as this particular loophole only applies to those who competed last year, so the new kid on the block Honda does not qualify. 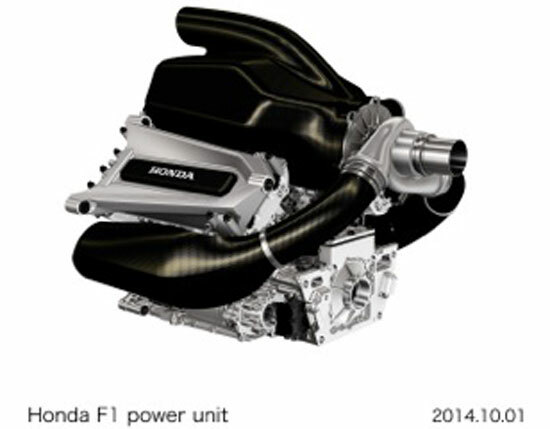 The McLaren team’s power unit supplier will have to submit their engine to the FIA before the first race of the 2015 season in Melbourne, Australia. Once submitted and approved, the Japanese manufacturer will not be permitted to carry out any changes until the championship finishes in November. I can understand the situation as rules have to be applied, but if the objective is to encourage more companies such as Honda into the F1 fold then it seems a little strange that they will have to commence their return with a definite disadvantage. If the Japanese V6 is right on the pace from the first race that’s great news, but unfortunately all other manufacturers can improve their product race by race while Honda cannot, that’s not a great incentive for other auto giants to join the circus. Rules keep shifting, and goalposts keep moving, surely this is creating a deterrent rather than stimulating investment from would be participants.